Spend an evening with the lead singer of the legendary rock 'n' roll band, the 77's. 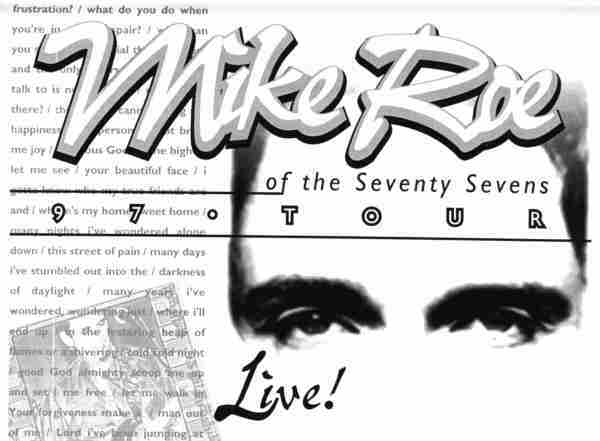 Mike Roe will put on an intimate acoustic solo show that will retrace the history of this great band and much, much more! The concert date is October 15th, 1997. Canal Street Tavern is located at 308 E. First St. 937-461-9343. Doors will open at 8:00 pm. Show will start promptly at 9:00 pm. Tickets $7 available at Canal Street or charge by phone 1-800-521-0290. You must be 18 or older or accompanied by your parent or a legal guardian.